A Dinner and Stay You'll Prefer! There are a few days when you wish to leave the world behind and celebrate your first milestones of your journey together. 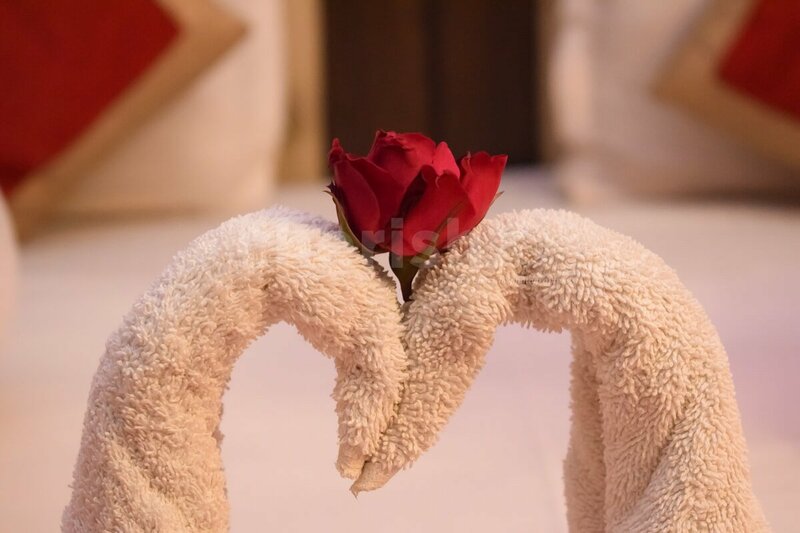 Dedicate an evening to your love - take them out on a romantic rooftop candlelight dinner just for the two of you and night stay at a luxurious room with surprise decorations! 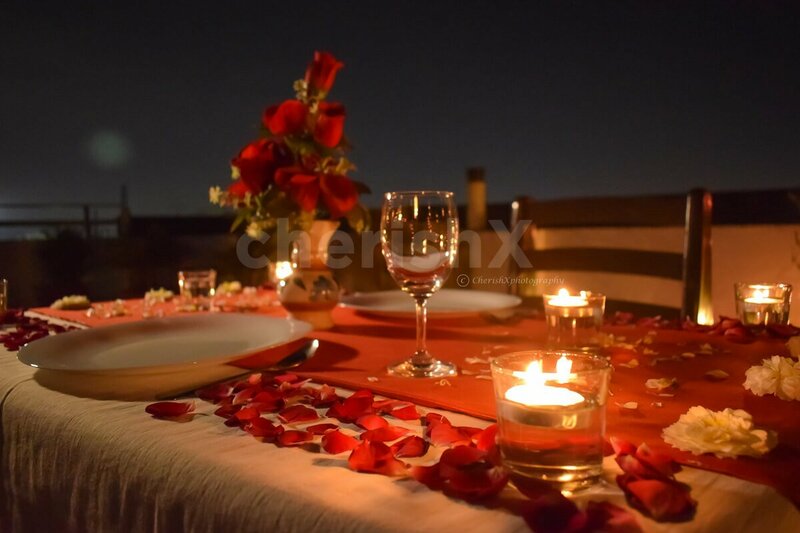 A private candlelight dinner would be arranged for your loved on a spacious rooftop decorated with flower petals and candles, setting the mood for the evening. Wouldn’t this be perfect for your first anniversary or as a birthday gift for your partner. 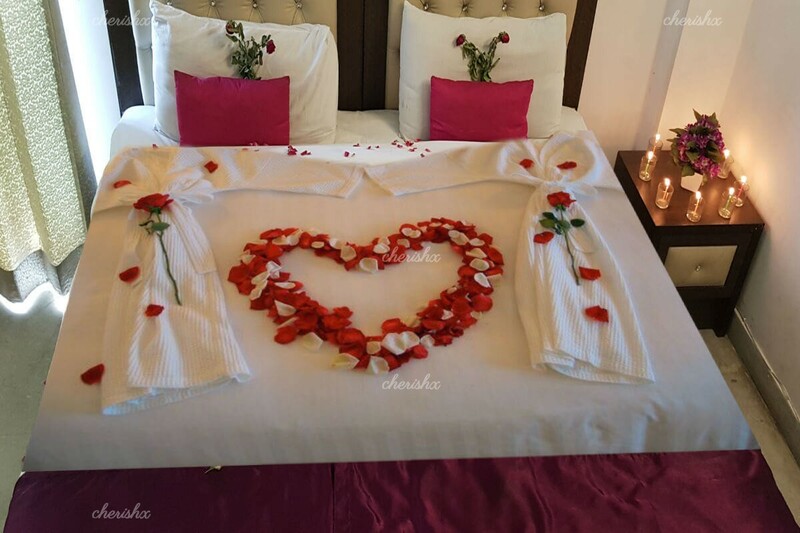 Moving back to your special evening, once the mood has been set, you can surprise your partner to a tastefully decorated room. Relax and enjoy in this luxurious room and you wake up to a buffet spread to start the next day. Located close to NH8, your venue can be conveniently accessed from South Delhi as well as gurgaon and makes for a great celebration during the week. 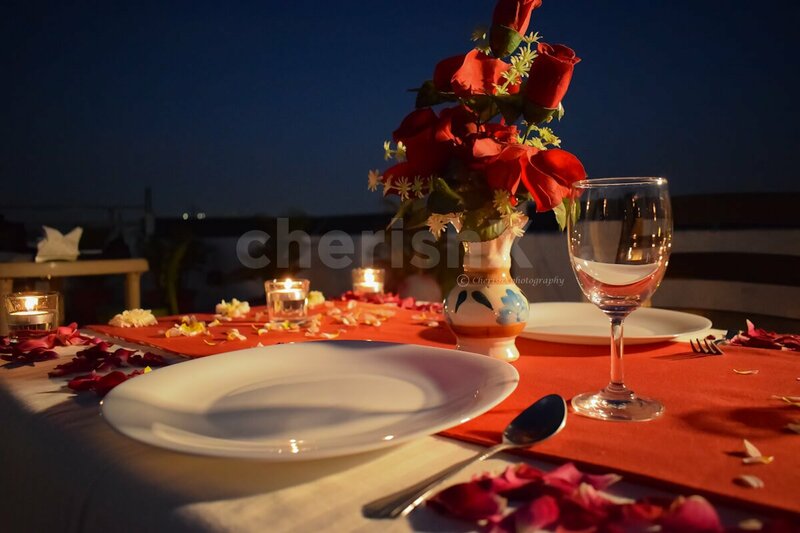 Dinner & comfortable stay, the ambience, the mood and quality time with your loved one will be cherishable! 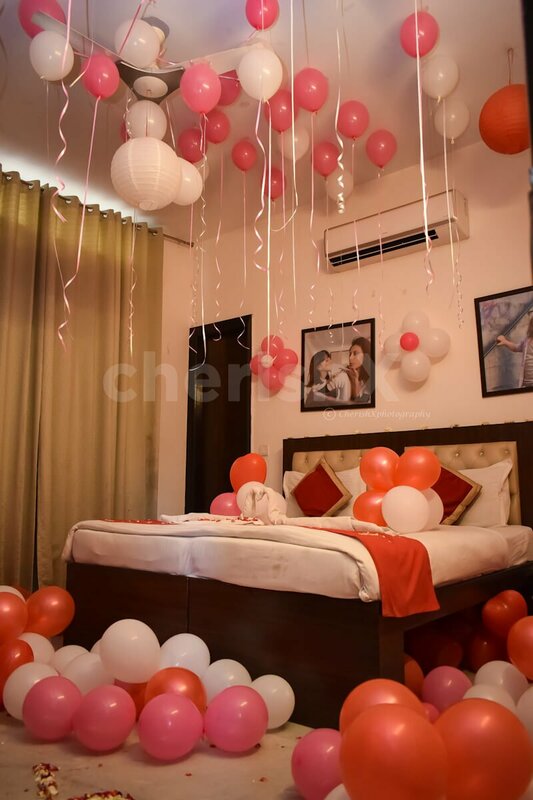 Decorate the place with balloons.